This quick, yet highly personalized treatment will cleanse, exfoliate and revitalize your skin in minutes. The Fast Results Facial deep cleanses and extracts impurities while allowing your facial muscles to fully relax. You’ll experience a personalized, targeted and effective treatment that leaves the skin feeling clean, smooth and revitalized. This highly personalized facial is designed to meet your exact needs, every time. Each step is adorned with advanced ingredients and nutrients designed to deliver results. 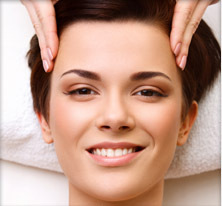 You’ll experience deep cleansing, a custom blended facial treatment targeted to your specific skin concerns.